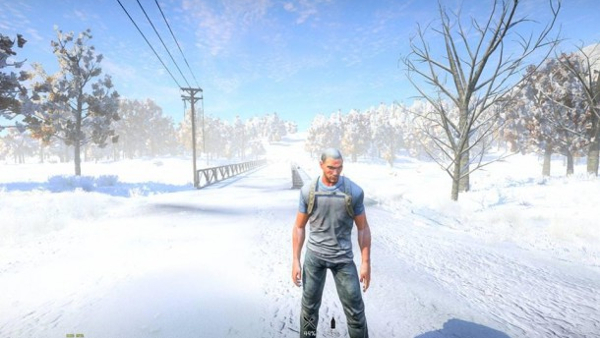 As reported by PC Gamer on Monday, July 1, Sony Online Entertainment’s president John Smedley revealed a new snow-covered image of the company’s in-house post-apocalyptic zombie MMO H1Z1 over Twitter, showing off the workings for the game’s weather system. In the same tweet, Smedley also revealed that a weather system will be added to the company’s first-person shooter MMO PlanetSide 2. Smedley later revealed in a reply to the initial tweet that the elements of the game’s weather will actually matter to players and their survival. It’s inferred that should a player go out unequipped for certain weather effects they will die of exposure. It is currently not yet known when PlanetSide 2 will have its own weather system, and whether or not said weather system will affect gameplay or be purely cosmetic. H1Z1 was announced back in April, and the MMO was supposedly meant to be listed on Steam’s Early Access program, but it seems to have been pushed back to an unspecified date. According to a bullet-pointed list of details pertaining to SOE’s zombie survival game on Reddit, HIZ1 will launch on PC first, and then later on PlayStation 4. The game will also be a free-to-play title, and it was supposed to appear on Steam’s Early Access for about $20. We’ll bring you more news on H1Z1’s development should further information reach our ears. In the meantime, you can check out the game’s recently released E3 demo via the embedded video below.